SUGARLOAF PEAK LOOKOUT is located on the eastern ridge of the Entiat Mountains, roughly 19 miles northeast of Leavenworth, WA. Although quite isolated, the lookout is relatively easy to reach via Forest Service roads from either the east or the west. 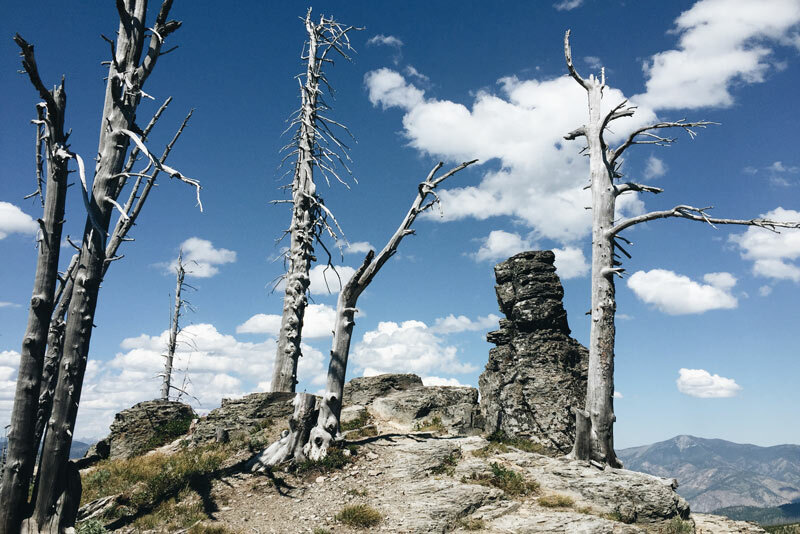 At an elevation of 5814 feet, Sugarloaf Peak offers panoramic views of the Wenatchee River Valley, the Stuart Range, and Glacier Peak to the west, and the Entiat Valley and the wheat fields of eastern Washington to the east. 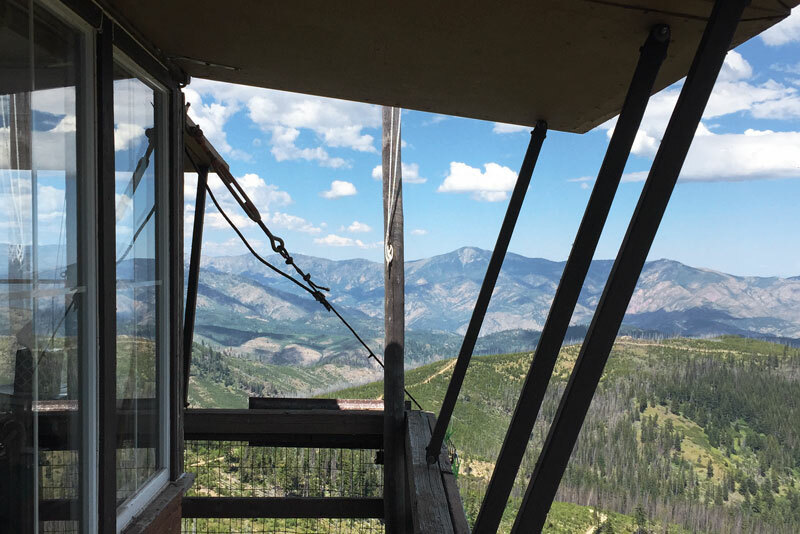 In 1914, Sugarloaf Peak was one of the earliest fire lookout points to be formally established by the Forest Service on Wenatchee National Forest. 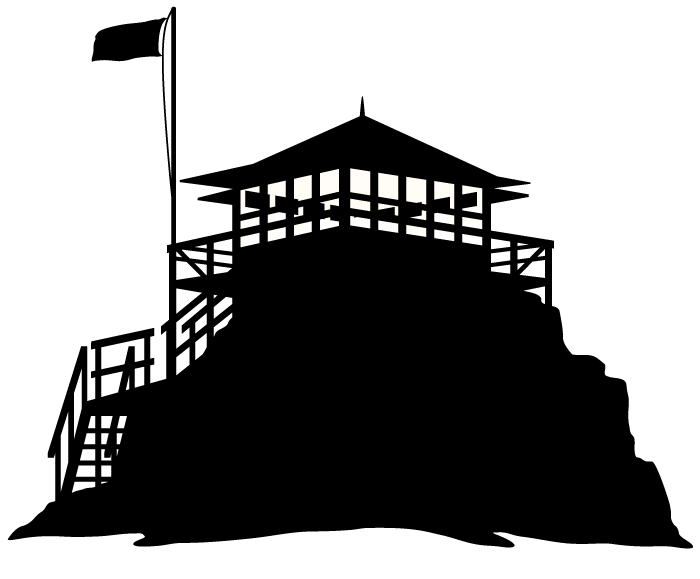 The lookout lived in a tent or “rag house” below the peak, and a fire finding instrument was mounted atop a basalt pillar at the summit. Food was delivered twice a month, and stored in a small cave near the tent to keep it cool. The camp was accessed via a primitive road from Leavenworth, and an old trail system originally used by sheep herders. By 1922, a more developed horse trail system reached the lookout, and in 1924 the first permanent structure (a D-6 cupola style lookout house) was constructed on the peak. By the late 1940’s, aerial surveillance was proving to be a more cost effective means of fire prevention, and many outlying lookout sites were abandoned, while centrally located ones remained in use. 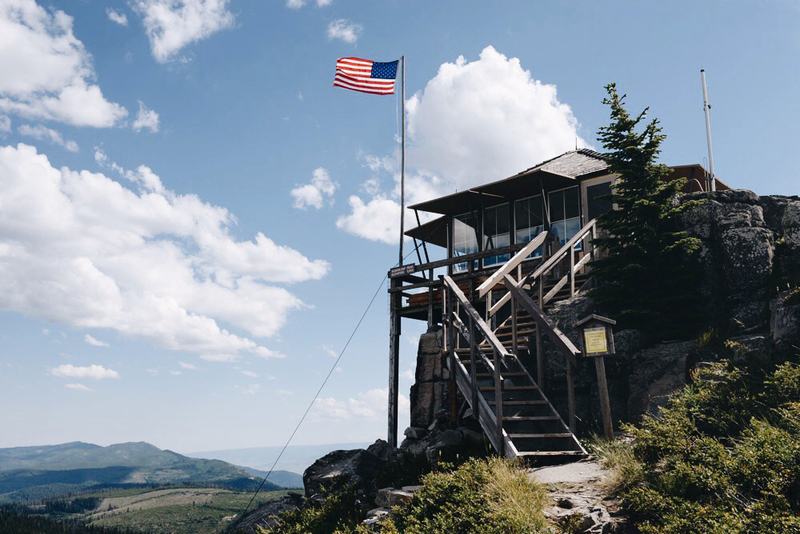 It became common practice to dismantle and relocate abandoned 1930’s era lookouts to some of the more centralized locations still occupied by older D-6 cupola cabins. Thus, in 1948 the old 1920’s era Sugarloaf cabin was removed and replaced with an L-4 cabin from Lion Rock, near Liberty, WA. 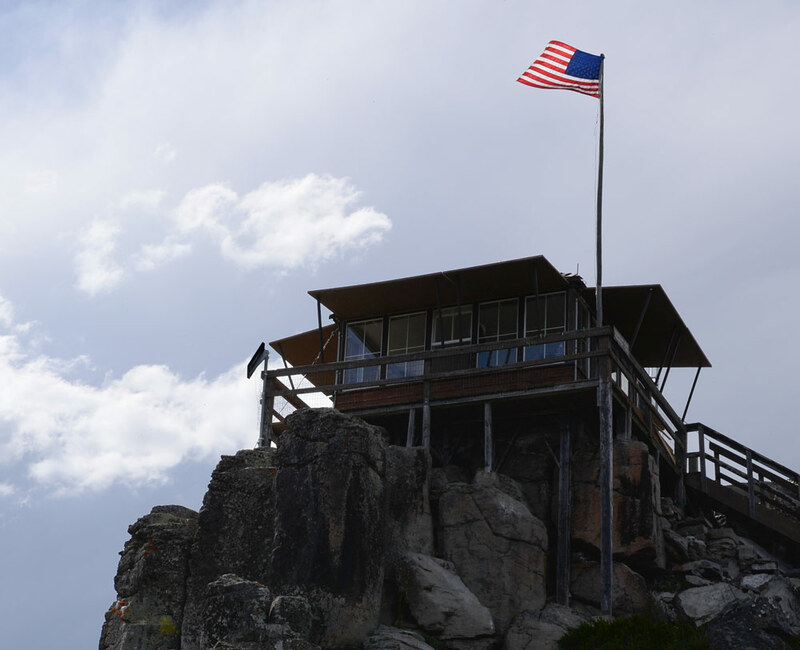 Today, Sugarloaf Peak is one of the few remaining lookouts in Washington still actively in use by the Forest Service. 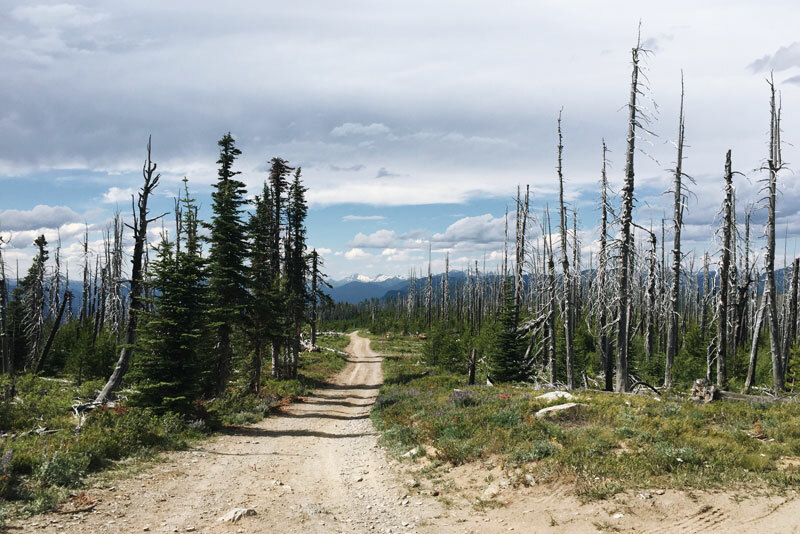 It has proven to be particularly useful, despite modern aerial surveillance techniques, in providing effective fire surveillance and detection during the often vulnerable fire season in Wenatchee National Forest. Sugarloaf Peak Lookout was placed on the National Register of Historic Places in 1990, and the National Historic Lookout Register in 1995. Sugarloaf Peak Lookout survived both the 120,000 acre Entiat Fire of 1970, and the 180,000 acre Tyee Creek Fire of 1994. During the Tyee Creek fire, the lookout was wrapped in fireproof cloth to keep it from burning, and although the lookout was saved, the outhouse and the garage were destroyed. Today the burned trees still stretch out for miles in every direction from Sugarloaf Peak. 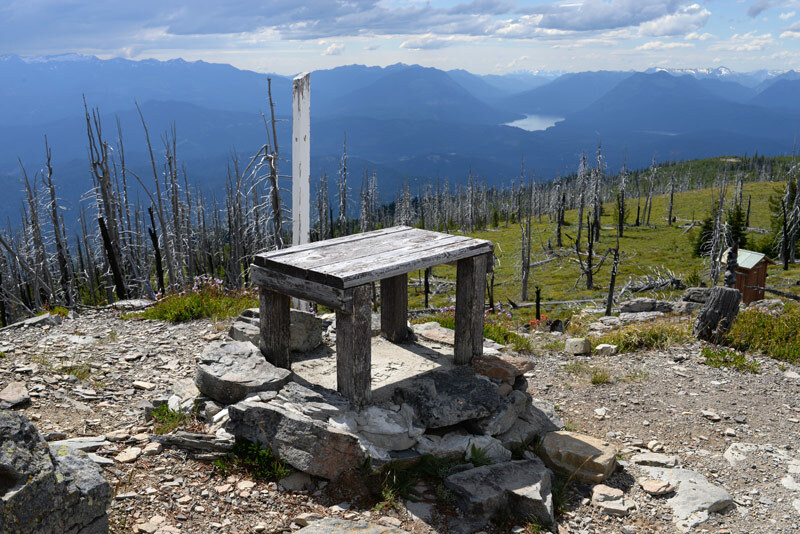 With a pair of binoculars, you can see Tyee Mountain Lookout off to the north. 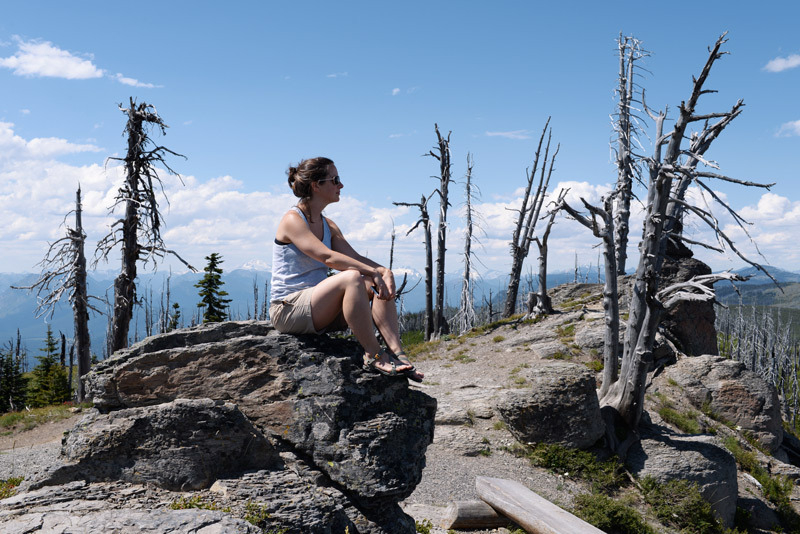 The Tyee Lookout also survived the Tyee Creek Fire of 1994, but is no longer in use as an active lookout due to it’s outdated lightning protection system. 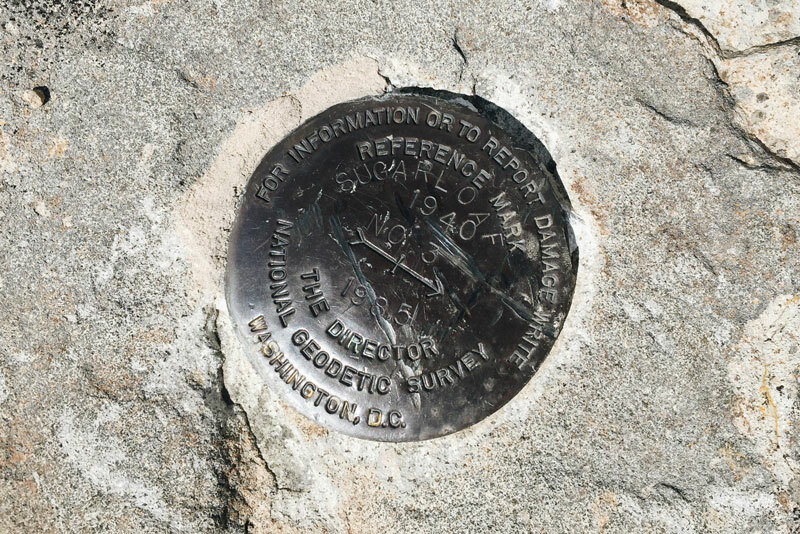 Because Sugarloaf Peak is still in use as an active lookout, visitors are asked to come between the hours of 9am and 5pm, and to respect the privacy of the lookout living there. The lookout on duty when I visited was very friendly, though, and let me look inside the cabin, answered my questions, and showed me how the fire finder worked. 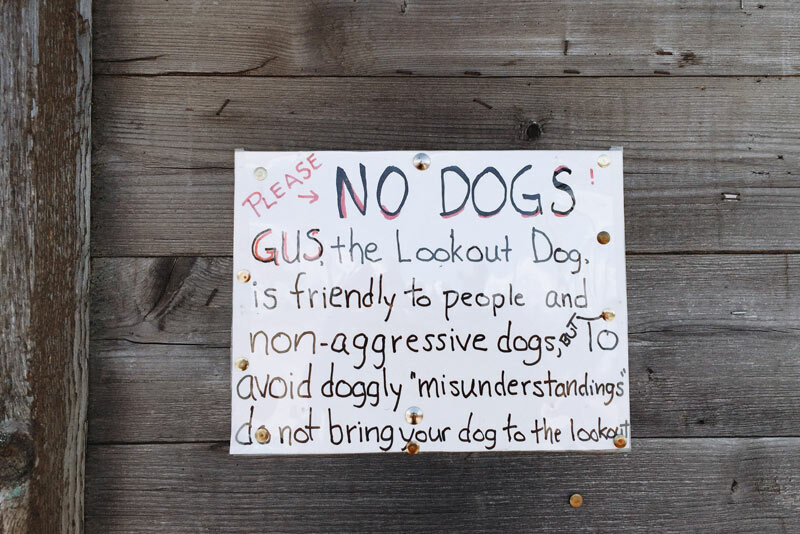 He also had a cute dog named Gus. From Leavenworth, head north on Highway 209 for 2.5 miles. Turn right onto Eagle Creek Road and continue for 5.8 miles to Forest Road 7520. Turn left onto 7520 and follow it for 4.6 miles. Turn left onto Forest Road 7801 and go 0.7 miles. Turn right to stay on 7801 and go another 0.4 miles. Turn left onto Entiat Summit Rd/NF-5200 and follow it for 4.3 miles. Take a slight right to stay on Entiat Summit Road, followed by another immediate right onto Entiat Summit Rd/NF-5200/NF-715. The parking area for the lookout will be in 0.4 miles.